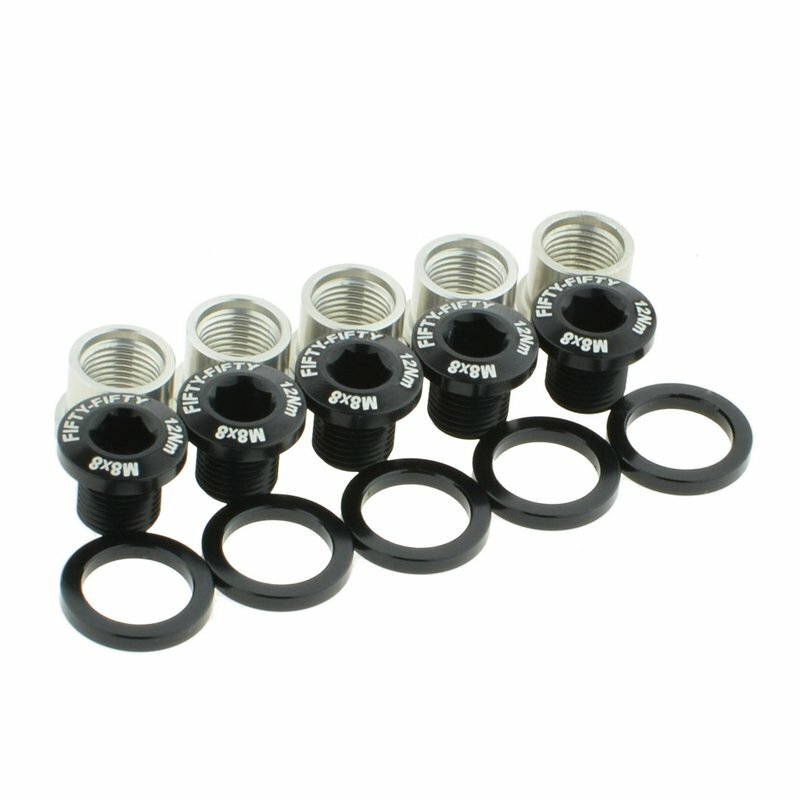 Light weight and stiffness chainring fixing bolts compatible with single and dual chainrings. -Full machined 7075 T6 aluminum. -Come with 5 sets to fix both mountain and road cranks. -Design with single and dual chainring compatible. -2mm spacers allow to adjust chainline and compatible with 1x and 2x cranks.